According to an NRCM investigative report, the LePage Administration over the past two years privately developed a plan to dramatically increase logging on Maine’s public lands without disclosing the plan to Maine lawmakers or the public and without providing a science-based justification or opportunity for public comment. Internal documents secured by NRCM reveal that the state foresters and land managers responsible for timber management in Maine’s public forests initially were excluded from discussions of the plan, which departs radically from a decades-long state policy to grow bigger, older trees in Maine’s public forests. Please note: This publication is out of print and no longer available in hard copy. Fill out the information below to download your copy. Please keep me informed about Maine's North Woods. 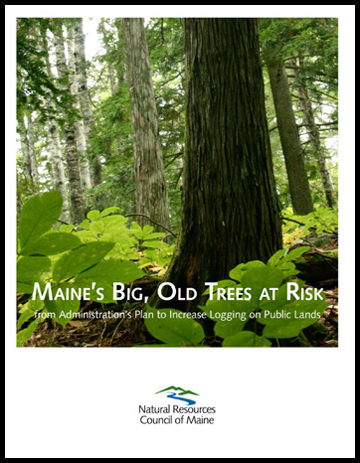 How did you hear about "Maine’s Big Old Trees at Risk from Administration’s Plan to Increase Logging on Public Lands"?